Close to 85% of young adults and adults get their wisdom teeth removed to preserve the structure of their mouth and their overall dental health. Kourosh Keihani, DDS, and his team at Oxnard Dentistry in Oxnard, California, provide patients with effective and seamless wisdom tooth extractions. With their careful approach to compassionate dental care, Dr. Keihani and his team make sure that you never have to worry about wisdom tooth pain. Call or go online to learn more about wisdom teeth extractions. Wisdom teeth refer to the last teeth to grow out in your adult life. In most cases, wisdom teeth grow in when you’re a teenager or in your early 20’s. Wisdom teeth are located directly behind the molars. Keep in mind that wisdom teeth don’t always grow in. Sometimes, they’ll stay lodged in your gum tissue or only partially emerge. Wisdom tooth pain occurs when the teeth surrounding the wisdom teeth are impacted. An impacted wisdom tooth refers to when there isn’t enough space in your mouth for the wisdom tooth to grow in. When this happens, it pushes neighboring teeth to make room. Consequently, you might experience an acute toothache. 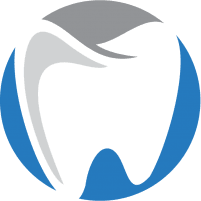 What are the common symptoms of impacted wisdom teeth? When you’re suffering from an impacted wisdom tooth, it’s very possible that you’ll experience inflammation or bleeding in the gumline. This is because the growing wisdom tooth is pressing on the nerves in your gum tissue. If you’ve noticed any of the above symptoms, get in touch with Oxnard Dentistry as soon as possible. Before undergoing wisdom teeth surgery, Dr. Keihani orders a CAT scan to determine how many wisdom teeth need to be extracted. In most cases, a wisdom tooth extraction shouldn’t take longer than an hour. In some cases, Dr. Keihani and his team might recommend that you get more than one tooth removed at a time. This can increase the length of your treatment. During the procedure, Dr. Keihani gives you a local anesthetic to ensure that the treatment area is as numb as possible. If you prefer, he can also give you a general anesthetic, though you’ll need to discuss your eligibility for general anesthesia before the operation. Once you’re anesthetized, Dr. Keihani makes a small incision in your bone and gum tissue to remove the tooth. He then uses dissolvable stitches to close it up. This ensures that you don’t need to make a follow-up appointment for him to remove the stitches. If you think you’re due for a wisdom tooth extraction, get in touch with Oxnard Dentistry today by phone or online.